Now MEDITECH hospitals can stop the time-consuming task of faxing required data to public health agencies and avoid the cost and effort involved in building custom interfaces. 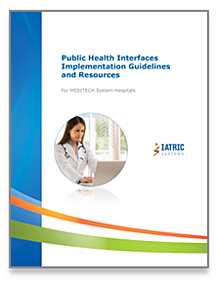 Iatric Systems three ready-to-use Public Health interfaces automate the sending process while meeting three Meaningful Use objectives for Stage 2 and Stage 3.
sends required data when immunization occurs to immunization registries. 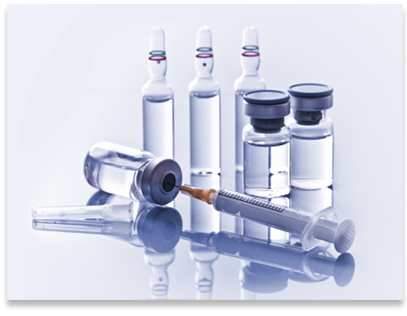 This gives providers accurate patient immunization records which prevents inappropriate administration of vaccinations. 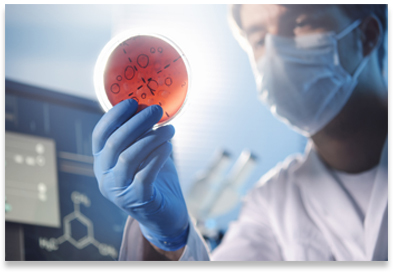 automatically reports qualified lab and microbiology results to public health agencies in a timely manner. transmits chief complaint and triage information to public health agencies and also provides the ICD-9/I10 encoded admitting diagnosis and procedures performed during a patient’s stay. Fitzgibbon Hospital Automates Data Delivery to State Health Agency and Meets Meaningful Use Objectives with Iatric Systems Public Health Interfaces. Meets Meaningful Use - Certified to meet Meaningful Use Stage 2 Core Objective 13: Submits immunization data to public health registries. Standardized encoded HL7 Version 2.5.1 format. CVX Encoded - Data is CVX encoded to meet the required format set by the Center for Disease Control. Meets State Requirements - Sends data according to state requirements. Meets Meaningful Use - Certified to meet Meaningful Use Stage 2 Core Objective 14: Submits reportable lab results to public health agencies. Standardized encoded HL7 Version 2.5.1 format. LOINC and SNOMED CT Encoded – Provides required detailed data allowing states and facilities to exchange consistent health information. Meets State Requirements – Sends data according to state requirements. Meets Meaningful Use - Certified to meet Meaningful Use Stage 2 Core Objective 15: Submits syndromic surveillance data to public health agencies. Standardized encoded HL7 Version 2.5.1 format. 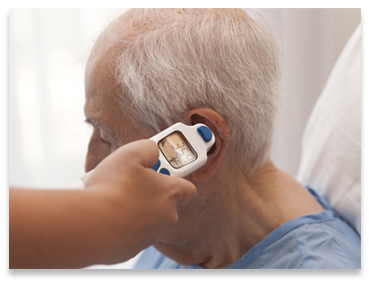 ICD-9 or I10 Encoded - Provides patients' medical information to Public Health Agencies. Current focus is on emergency department patients. Video: Have you deferred Public Health Interfaces to Stage 2 Meaningful Use? Lake Regional Health System automates reporting of Public Health Data. Fitzgibbon Hospital automates data delivery to state health agency and meets Meaningful Use Objectives. Mecosta County Medical Center automates health data delivery to state agency. Public Health Interface (PHI) - Immunizations, version 1.6, has been certified on November 29, 2018, certification number 15.05.05.2760.ISIR.01.00.0.181129. This EHR module is ONC 2015 Edition compliant and has been certified by SLI Compliance, an ONC-ACB, in accordance with the applicable Eligible Hospital certification criteria adopted by the Secretary of Health and Human Services. Public Health Immunizations, version 1.6, meets the following certification criteria; 170.315 (d)(1): Authentication, Access Control, Authorization, 170.315 (d)(2): Auditable Events and Tamper-Resistance, 170.315 (d)(3): Audit Report(s), 170.315 (d)(7): End-User Device Encryption, 170.315 (f)(1): Transmission to Immunization Registries, 170.315 (g)(4): Quality Management System, and 170.315 (g)(5): Accessibility-Centered Design. The additional types of costs that an Eligible Hospital or Critical Access Hospital would pay to implement the Public Health Interface - Immunizations, version 1.6, in order to attempt to meet Meaningful Use objectives and measures include; relevant hardware if not already available. Public Health Interface (PHI) - Reportable Labs version 1.6, has been certified on September 18, 2018, certification number 15.05.05.2760.ISRL.01.00.0.180918. This EHR module is ONC 2015 Edition compliant and has been certified by SLI Compliance, an ONC-ACB, in accordance with the applicable Eligible Hospital certification criteria adopted by the Secretary of Health and Human Services. Public Health Reportable Labs, version 1.6, meets the following certification criteria; 170.315 (d)(1): Authentication, Access Control, Authorization, 170.315 (d)(2): Auditable Events and Tamper-Resistance, 170.315 (d)(3): Audit Report(s), 170.315 (d)(7): End-User Device Encryption, 170.315 (f)(3): Transmission to Public Health Agencies - Reportable Laboratory Tests and Values/Results, 170.315 (g)(4): Quality Management System, and 170.315 (g)(5): Accessibility-Centered Design. The additional types of costs that an Eligible Hospital or Critical Access Hospital would pay to implement the Public Health Interface - Reportable Labs, version 1.6, in order to attempt to meet Meaningful Use objectives and measures include; relevant hardware if not already available. Public Health Interface (PHI) - Syndromic Surveillance, version 1.6, has been certified on August 20, 2018, certification number 15.05.05.2760.ISSR.01.00.0.180820. This EHR module is ONC 2015 Edition compliant and has been certified by SLI Compliance, an ONC-ACB, in accordance with the applicable Eligible Hospital certification criteria adopted by the Secretary of Health and Human Services. Public Health Syndromic Surveillance, version 1.6, meets the following certification criteria; 170.315 (d)(1): Authentication, Access Control, Authorization, 170.315 (d)(2): Auditable Events and Tamper-Resistance, 170.315 (d)(3): Audit Report(s), 170.315 (d)(7): End-User Device Encryption, 170.315 (f)(2): Transmission to Public Health Agencies - Syndromic Surveillance, 170.315 (g)(4): Quality Management System, and 170.315 (g)(5): Accessibility-Centered Design. The additional types of costs that an Eligible Hospital or Critical Access Hospital would pay to implement the Public Health Interface - Syndromic Surveillance, version 1.6 in order to attempt to meet meaningful use objectives and measures include; relevant hardware if not already available.